Want to hear the next big business ideas in cannabis? 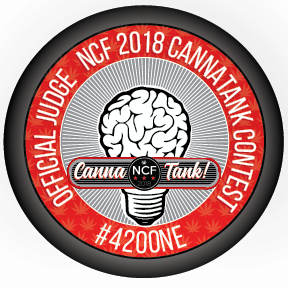 Join The Hood Incubator and the National Cannabis Festival for the final round of the 3rd Annual CannaTank Contest for aspiring canna-business owners. Prize packages include: $1,000 in start-up assistance, business coaching meetings and strategy sessions, and more! The Hood Incubator, a community-centered nonprofit organization whose mission is to increase the participation of Black and Brown communities in the legal cannabis industry, helped spearhead the 2018 CannaTank contest. This #420one weekend head to the Weedmaps Education Pavillon for the CannaTank Contest Finals hosted by Sirita Wright, Co-founder & CMO, EstroHaze, with judges that include Dr. Chanda Macias, Owner, National Holistic Healing Center & Chairwoman of the Board, Women Grow, Kayvan Khalatbari of Denver Relief Consulting, Jane West, CEO, Jane West & Founder of Women Grow and more. Learn more and check out the schedule for the Weedmaps Education Pavillon on April 21st and check out this profile on The Hood Incubator here.